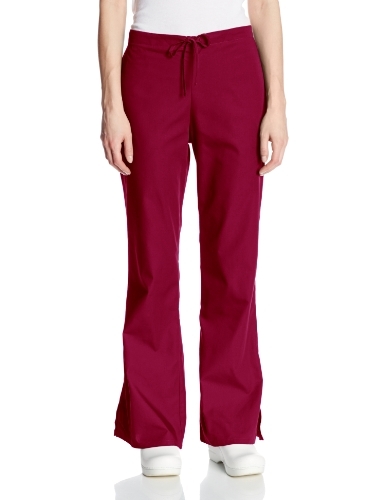 Side vents at the bottom of this natural rise, flare leg pant make a fashion statement. An adjustable front drawstring, back elastic waist, slash pockets, and one back patch pocket are also featured. Inseam 28.5 inch. Fabric Care :Machine wash warm with similar colors. Use only non-Chlorine bleach when needed. Tumble dry low. Medium iron if needed.